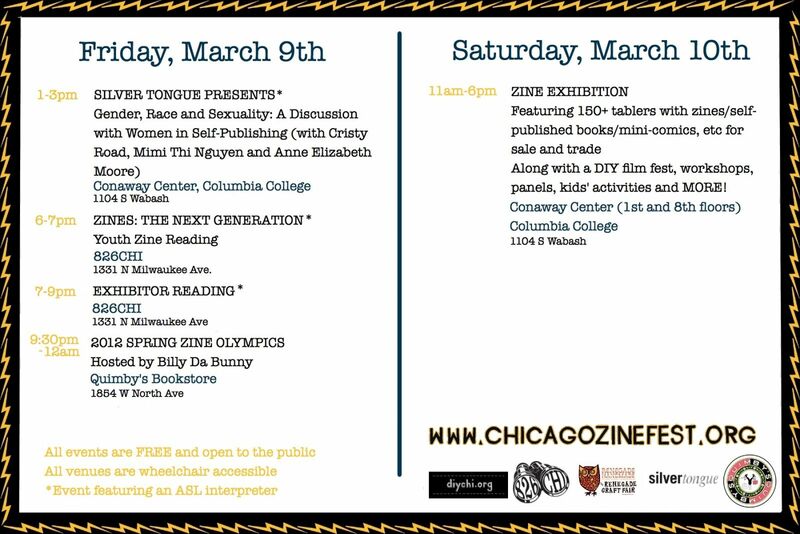 Chicago Zine Fest is fast approaching. THIS WEEK! Friday March 9th and Saturday the 10th. I’ll be there hunting for all things skate-related. You should be there too! Vegetable Shredders, Art Noose and tOM Zombie SoyBot will be hocking their wears. Art Noose, who practices the the fine art of Letterpress will be participating in an Exhibitor event on Friday. I assume the topic will be skate-ramp building or letter-pressing. That is at 826CHI @ 1331 N Milwaukee Ave. This and all other events are Free. If you come out, keep an eye open for me, Mr. Fakie. I’ll have stickers and hopefully some glow-in-the-dark-buttons.